I've always been one for road trips. From Mount Rushmore to California, I've done a lot of my exploring by car in these last few years. It's also why my buddy Mike dropped me a line and brought up the idea of going on a road trip this summer. 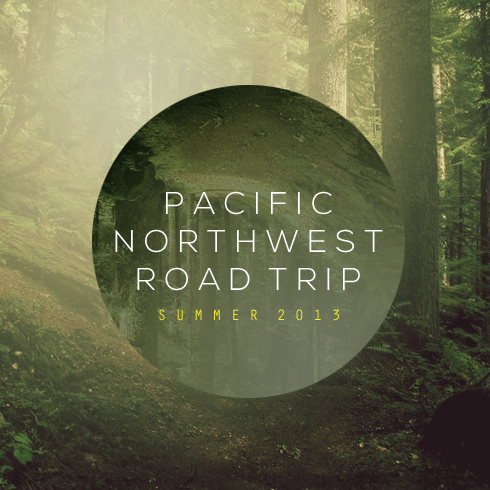 I was game from the get-go, and after a short back and forth about destinations, we had our stops booked, our route mapped out, and now it's official - this summer we'll be road tripping the Pacific Northwest for 9 days. A few of the big motivators for exploring this part of the country are that Mike has never been to the ocean before, and I, having driven the coast highway with my friend Dave in California, really wanted to complete the journey by driving it in Oregon and Washington. We're also both looking forward to exploring Portland and Seattle and all of the amazing stuff nearby - like the Evergreen Aviation and Space Museum, where Howard Hughes' Spruce Goose is. In typical fashion, I'm likely to shoot a lot of new photo sets and video along the way, so there should be lots to share later this year. In short, I'm just glad one of the many trip ideas I had on the table for 2013 actually panned out. This is sure to be another amazing trip. We're going to have a blast, Mike!